Airbiz is proud to announce a one-day must-attend airshow event: The Next Generation World Airports Conference. This conference will guarantee you the latest insights from world acclaimed industry experts, detailing the innovative and exciting strategies behind some of today’s most cutting-edge airports. Join CEOs, directors, planning managers and pilots for a behind-the-scenes look at airport cities, terminals of the future, infrastructure, business aviation and more. The invited line-up of speakers include Hon. Alan Tudge MP, Max Moore-Wilton AC, Julieanne Alroe, Gert-Jan de Graaff (BNE & JFK), Lyell Strambi (MEL), Tom Ruth (Edmonton), John Kim (Incheon), and Kurt Edwards (IBAC) - most of whom have confirmed their participation. Conference Chairman, Airbiz Managing Director and world-renowned aviation expert Greg Fordham invites you to join him for this exclusive one day conference. As a registered delegate, you will receive a complimentary Trade Day Airshow entry ticket. Limited registrations are available. To register, email your name, title and affiliation to info@airbiz.aero. The Conference will be convened on-site at Avalon Airport in the purpose-built Conference Centre on Wednesday 27 February, 2019. Registration for this Conference presents delegates with the opportunity to also attend some of the other on-site Conferences and Symposia convened in conjunction with the Airshow. Airport Infrastructure: Are we attracting the right amount of appropriate investment? Where should the future focus be? Lunch & Flying Display - Delegates free to view flying displays as part of the Airshow and visit the exhibition halls. Lunch is available for purchase from a variety of outlets. *Please note, at the discretion of Airbiz and conference organisers, this program could be subjected to amendments and change at any time. Max Moore-Wilton is one of the most prominent names in Australia’s corporate landscape, with a comprehensive career that includes key roles within the highest levels of the private and public service sector. 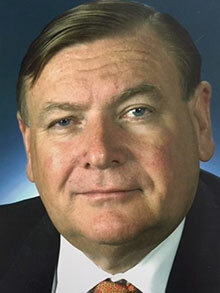 He was Secretary of the Department of Prime Minister and Cabinet from 1996 – 2001, and Executive Chairman of the Sydney Airport Corporation from 2002 – 2006. Following this Max’s roles included Chairman of MAP Airports, Chairman of Sydney Airport Corporation, and Board Member of Infrastructure NSW. Julieanne Alroe is the Chair of Infrastructure Australia. She is also a member of the University of Queensland Senate and was recently appointed to the Board of ERM Power and the Board of the Queensland Ballet. She is a Member of the Council of Governors of the American Chamber of Commerce QLD (AMCHAM) and is the Inaugural President of the Queensland Futures Institute (QFI). 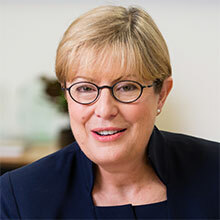 She retired in June 2018 from Brisbane Airport Corporation (BAC) where she served as CEO and Managing Director since 2009. With over 40 years in the aviation industry, she was one of only a few women in the world to run a privatised airport. Julieanne has a Bachelor of Economics from the University of Queensland and was granted the Doctor of the Griffith University (honoris causa) in 2016. She also is a Graduate of the Australian Institute of Company Directors and a member of the Chief Executive Woman (CEW). Lyell Strambi was appointed CEO and Managing Director of Australia Pacific Airports Corporation (APAC) in September 2015. He is responsible for the operation and development of both Melbourne and Launceston airports and oversees a direct workforce of 300 staff and assets valued in excess of $10 billion. Prior to commencing at APAC, Mr Strambi was the Chief Executive Officer of Qantas Airways Domestic. Between 2001 and 2008 Lyell was based in London, working in senior roles at Virgin Atlantic including Executive Director – Airline Services and Chief Operating Officer. Currently Lyell is an APAC Board Member and also a Director of the Visit Victoria Board. 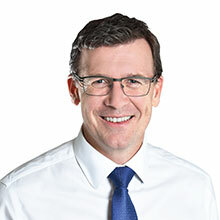 Alan Tudge is the Federal Member for Aston in the Australian Parliament and the Minister for Cities, Urban Infrastructure and Population. He was first elected in 2010 and, prior to his present portfolio was the Minister for Citizenship and Multicultural Affairs, with responsibility for skilled migration, visa processing, pathways to citizenship, and multicultural affairs, Minister for Human Services (where he introduced the cashless welfare card) and Parliamentary Secretary to the Prime Minister. Before entering parliament, Alan spent most of his career in business including with the Boston Consulting Group in Australia and the United States, and worked as a senior adviser to the Foreign Minister and Education Minister. He holds a law degree and arts degree from Melbourne University and an MBA from Harvard University. As President and CEO of Edmonton Airports, Tom is responsible for the management and operation of Edmonton International Airport (EIA), Canada’s fifth business airport, as well as Villeneuve Airport. 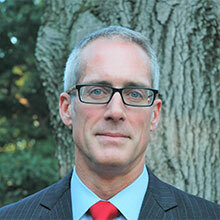 Under Tom’s leadership, EIA has seen significant growth in both passenger and air cargo service. Tom has also advanced the Airport City development at EIA, with over $700M in private investment. Prior to joining Edmonton Airports, Tom was President of Halifax International Airport and President of Canadian North Airlines. 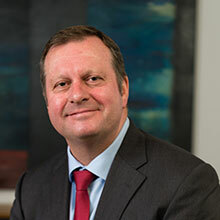 Gert-Jan de Graaff was appointed to the position of Chief Executive Officer of Brisbane Airport Corporation in June 2018. 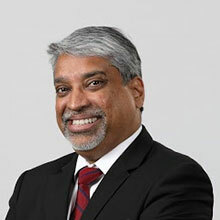 He has over 20 years’ experience in leadership roles at major airports around the world, starting in airport management in 1995 with Schiphol Airport in Amsterdam. From 2005 he was Managing Director of ASDC AB, the company managing commercial activity in the terminals of Stockholm-Arlanda Airport. 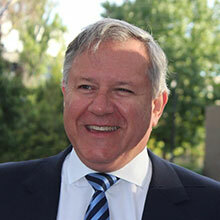 Between 2007 and 2012 he held senior executive roles with Brisbane Airport Corporation. Prior to his return to Brisbane Airport in 2018 Mr de Graaff led the bid for Galeão / Rio de Janeiro Airport in Brazil on behalf of Royal Schiphol Group. His most recent position was President & CEO of JFKIAT LLC, the private operators of Terminal 4 at John F Kennedy International Airport since 2014. 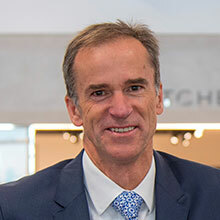 Kurt Edwards joined the International Business Aviation Council (IBAC) in 2012, having worked in international aviation for more than two decades. He had served in a variety of capacities with the U.S. Federal Aviation Administration (FAA) including Senior Advisor to the Assistant Administrator for Policy, International Aviation, and Environment and Deputy Director, International Affairs. Prior to that, Kurt led global outreach initiatives on aviation environmental matters. He also served as the FAA Representative to the European Union in Brussels, Belgium, and held a similar post in Paris, France. 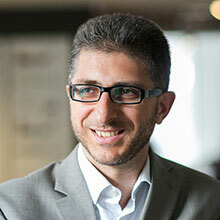 Mustafa Chehabeddine is a Design Principal at Kohn Pedersen Fox (KPF) with over 20 years’ experience as an architect. He has worked on projects around the world, from commercial, residential, hospitality and mixed-use developments to large-scale masterplans with complex urban and transportation challenges. Mustafa served as Design Principal for the Abu Dhabi International Airport Midfield Terminal Complex, one of the largest projects currently under construction in the world. Conceived as a gateway, the project will dramatically increase the airport's capacity, allowing it to process 50 million travellers per year. Mustafa is adept at managing multi-disciplinary, international teams and his design-focused approach ensures the highest quality is achieved. After several years in executive roles at Cebu Pacific, the Philippines' largest airline, Rick has recently transitioned to a new role to establish and head the Enterprise Risk department and lead ESG initiatives. His aviation career began at the RAAF Academy and has progressed through operations, projects, technology and leadership roles in several well-known airlines, including Qantas, Emirates, Virgin and most recently in the Chief Operations role at Cebu Pacific. Aside from Rick's tertiary education in the mathematics and science domains, he recently became the 13th Australian to receive certification in Corporate Governance by the leading French business school, INSEAD. Richard is a graduate fixed and rotary wing test pilot and flying instructor. 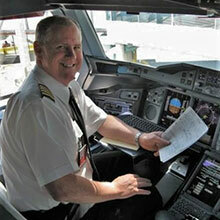 He is a current A380 Captain with more than 20,000 hours and has flown the B747-400, A330, B747 and B767 in airline service. 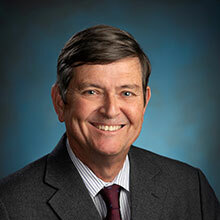 He has been an accident investigator and a member of the ICAO Operations panel. As EVP Technical Standard for IFALPA he oversaw the Aircraft Design and Operations, the Air Traffic Control and the Airport and Ground Environment Committees. He flies his Nanchang CJ6 in his spare time. Captain Suren Ratwatte is a pilot and aviation enthusiast who has flown many jet transport aircraft including the Airbus A380, the Boeing B-777 and the Lockheed L-1011, during a flying career spanning more than 30 years. As a Human Factors practitioner he has developed, taught and managed CRM courses and is a published author on the subject. He was most recently the CEO of Sri Lankan Airlines and is now pursuing his love of flying and aviation history as a private individual. Peter is a highly experienced aviation executive who has 30 years’ experience in operational leadership roles in the commercial aviation industry. 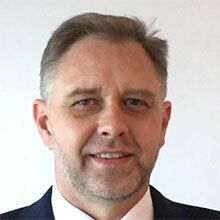 As Chief Operating Officer for Qantas Airways from 2012 - 2014 Peter established a second Air Operators Certificate (AOC) for commercial purposes and was on the steering committee for the Qantas Emirates partnership, while overseeing Ground Operations, Engineering Airworthiness, Flight Operations, Safety, Security, Finance and Human Resources management. Prior to that Peter was Group General Manager Flight Operations and Chief Pilot from 2008 – 2012, and a member of the A380 Steering Committee. Peter also completed the Harvard Business School Leadership program, Finance for Senior Executives from the London School of Business and the Executive Development program from Macquarie Graduate School of Management.